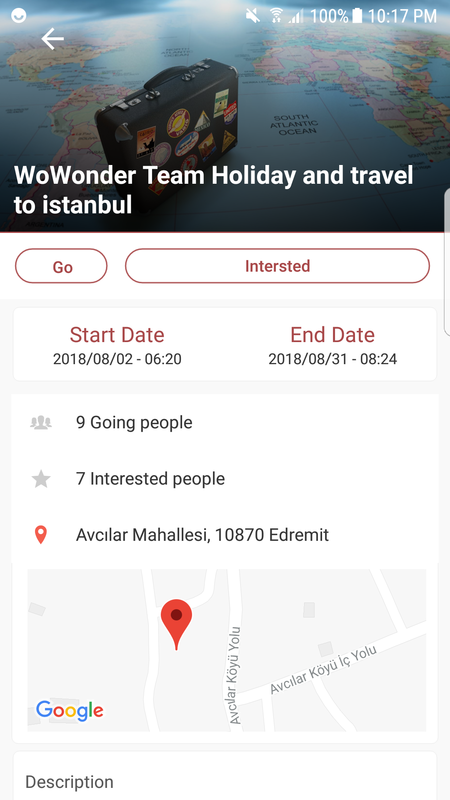 WoWonder Timeline is easy, secured, and it will be regularly updated. Timline Page: Added ability to see all kind of posts Text, Pictures, Videos, Maps, Feelings, and more . Friends & Follow System: Application Supports friends system like Facebook, follow system like twitter. Native Injection:: Added ability for users to see likes and wonders and delete and interact with post nativly. Add Post Page: Added ability for users to add new post as text or image or video or activities and feelings. Post Privacy: Added ability to control post Privacy. 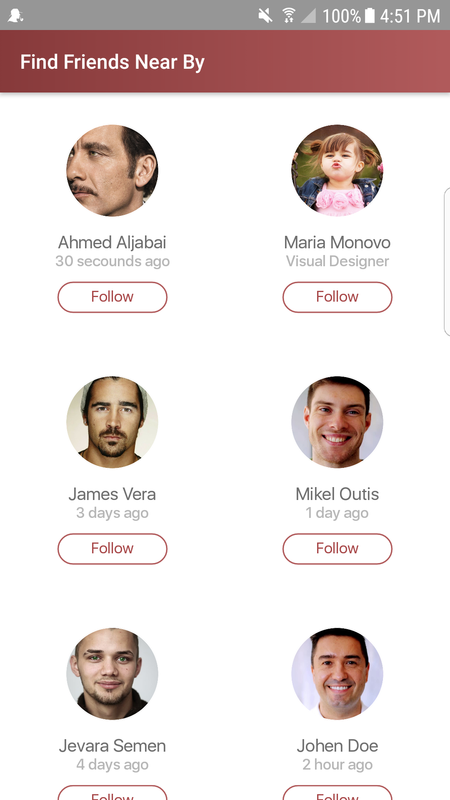 Friends Page: Added ability to display all users friends on one page . User Profile Page: Added ability for users to open users profile and timelines and get there information and feeds. Comunity Page: Added ability for users to display liked pages and joined groups on one page . Search Page: Added ability to search for users & pages and groups with ability to add or like or join during the search. Search Filter Page: Added ability to filter search results via Avatar or Status or Gender and more. My Images Page: Display all posted photos with users comments and likes. Market Place: Added ability for users to get latest products and contact there owners. 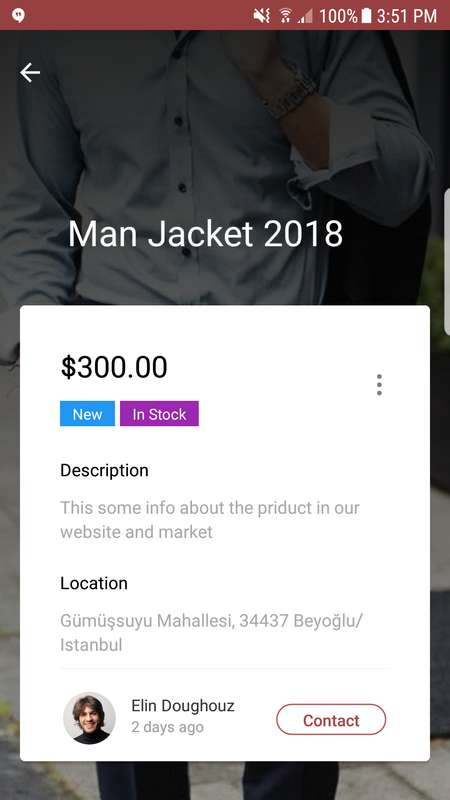 Add Product Page: Added ability for user to add there own product attached with images & informations and price. Saved Posts: User can save posts to view them later. 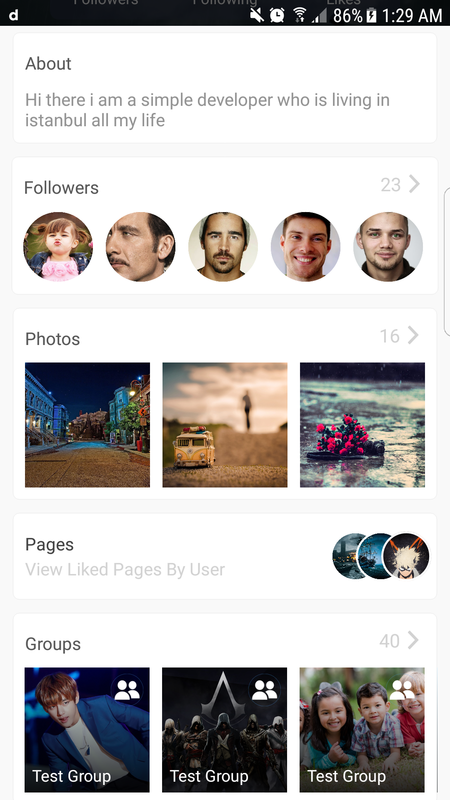 Liked pages: Added ability for users to like pages and get pages feeds and action buttons . 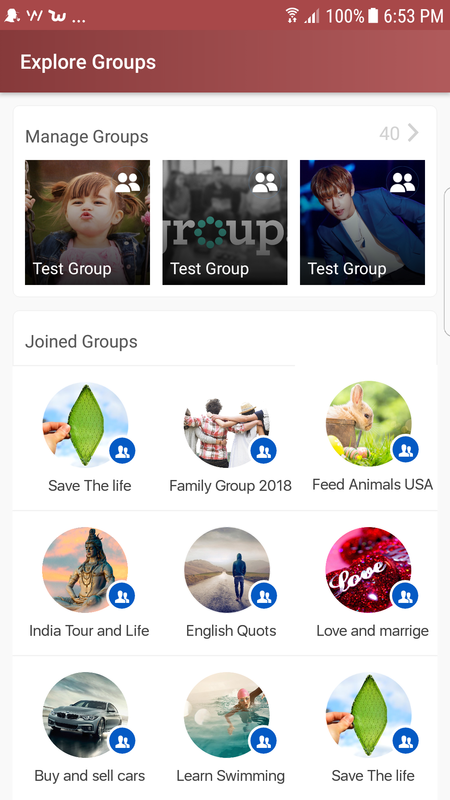 Groups: Added ability for users to join groups and get groups feeds and informations. 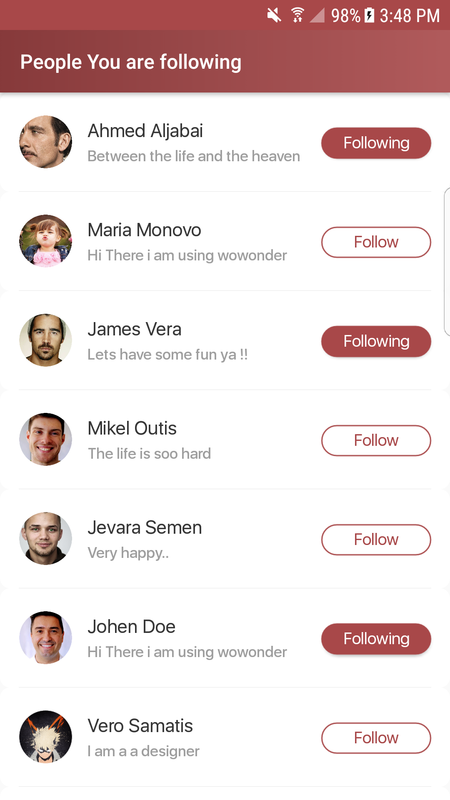 Messages system: Added ability for users to chat and send messages integrated with the WoWonder Messenger v1.5. Pro members Profiles: Added ability for users to see pro members types on each user Profile. Notifications Page: Added ability to display all notifications with Events such as like , shared, commented, etc. Push Notifications: Added ability for users to get notifications for users activities and more. Friend Requests: Added ability to accept or cancel friend requests. 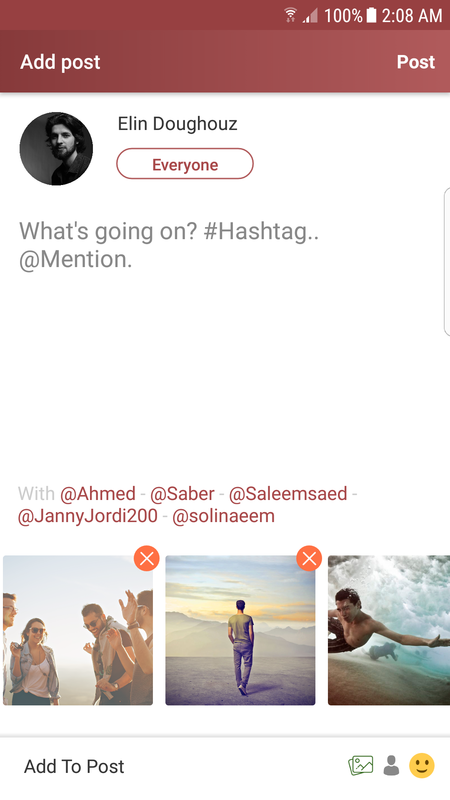 Trending Hashtag: Users can see last trending hashtags on left slider. Premoted Pages: Users can see last promoted pages on left slider. Pro Members: Users can see promoted members on left slider. Pro Upgrade Page: Added ability for user to upgrade his account to pro member. Settings page Added ability for user to control his privacy and settings. Acount Page: Added ability for users to control there account password & username and email. Help Page: added ability for users to see and read some help or about us. Blocked users:: Added ability for users to unblock or block there friends and users profiles. Notification settings: Added ability for users to control notifications (Led color & Sound and Vibrate) . My Profile: Added ability for users to change there avatar & cover & informations and social links. Handling Offline: Added ability to handel offline mode and bad connections. .
Cache system 60% of data is cached on mobile device. Handling Image : Added ability to handle image download and cache load for more performance and speed . Material design: Applicatiom responsive 85% in all kind of platforms Mobile, iTab, Tablets and more. Toasts & Alerts: Added ability to display alerts , Toasts , success , errors, loadings , and more. Integration: Added integration with WoWonder Messengers and Desktop Application and Main php script. Empty State pages: Added Empty state pages and offline pages with easy customization. Sync Phone contact Added Sync Phone contact list and check for available users phone numbers. Certificate Chains: Added Certificate Chains && Secure Protocols for High secured servers. Events: Added abilty to view and create events from the app. Find Near by: Added abilty find near by friends using GPS. User Status: Added abilty to create and view user status. Compaitble with new Wowonder PHP Version 2.2. Fast scroll improvment on market. Fixed login exeption type c.
For Main PHP scipt version 2.3 and up. Fixed Scroll on product page. Added ability to post Polls . For Main PHP scipt version 2.2 and up. Added full strings tranclate . Added auto restart on crash. Fixed profile image not loading. For Main PHP scipt version 2.1 and up. Secured the app for illegal uses. Added New UI Design . Ability to distribute app with 64-bit support. Added Translucent view for user profiles. Added ability to post files. Added ability to post Music. Added ability to post Giffy images. Added ability to post Location. Added ability to display cached news feed . Added GDPR & Data Privacy . Added Contact us and invite users page. Redesign of Login and register pages. Added Animation on the tabbed pages. Added Oreo 8 notification channels. Added Image cropper and rotate system. Added Ability to add video background. Added Interstitial \ Admob Banners. Added Google Ad Sense Network system. Added Google VAST-compliant ad server. Added Google DFP and AdSense for Games (AFG). Added Custom Video Player with controls. Added Ability to watch movies offline. Added Ability for movie Full-screen view. Added Ability to view Badge Notifications. Added new User profile page. Added ability to change language from settings. 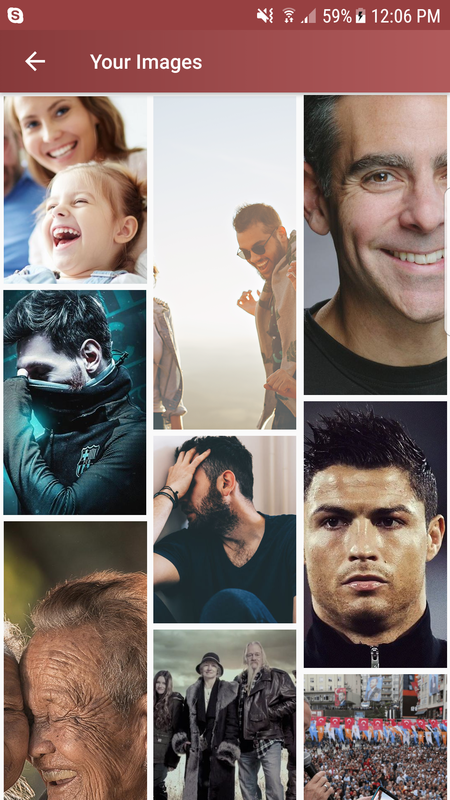 Cached Images system load and view. Recycle views with high performance . SQLITE Upgrade to last version. RTL System with layout support. Update Android compact to last version 7.2.1. Compatible with the upcomming update of WoWonder Version 1.5.5. 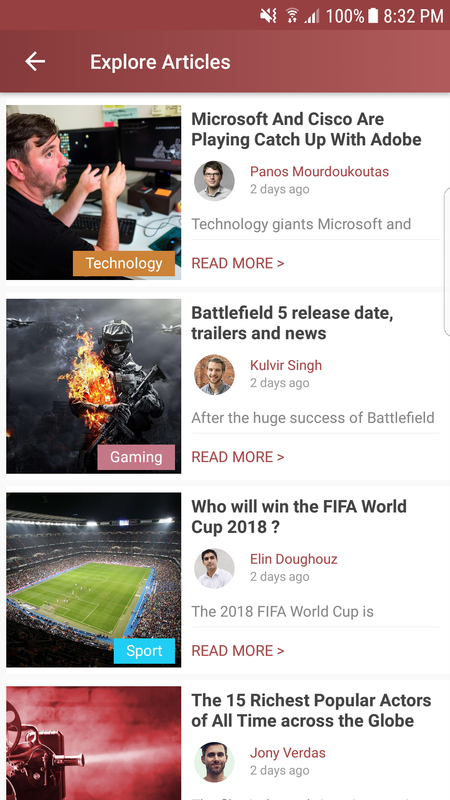 Compatible with the 3 new themes of WoWonder upcomming new update. 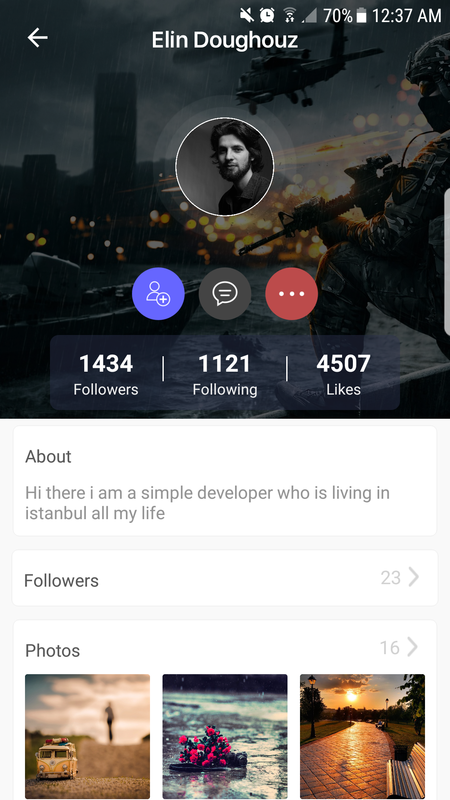 New design of the application view and style. Added ability to edit social pages. Display in the user’s profile photos & friends & groups and pages. Fix “Mentions” to a friend in the Post. Fix the display in events page. Fix of 10+ reported bugs. Add ability to Handle Errors 404 and 505 and 402 To the hybrid post viewer. Add ability to handle bad connection and slow connection on post viewer. Increased speed of loading post on the main timeline to 50% . Add Native Try Again on post viewer . Solved all login and logout bugs . Fixed 9 reported bugs on pages and crashes. Downgrade the android version to 4.4 to work on old devices.